Hytrol has been led by a group of outstanding leaders in its history, and that continues today with our senior management team. These individuals work tirelessly to provide a strong, stable future for each of our employees, partners, and customers. As our president, David oversees the strategic direction and day-to-day operations of Hytrol. He joined the company in 2014 and has focused on continuing the culture and heritage that drives Hytrol’s performance. With a dynamic leadership style and progressive experience in the manufacturing sector, David provides the tactical knowledge to guide our growth. David graduated with a Bachelor’s Degree from The Citadel and a Master’s Degree from Webster University. He served 12 years in the Marine Corps from 1985 to 1996 and departed with the rank of Captain before spending over 20 more years in manufacturing positions. Outside of work, David spends as much time as he can in the outdoors elk hunting, cycling, and beekeeping. He lives with his wife, Amye, in Jonesboro. Chuck joined Hytrol in 2010, bringing more than 30 years of experience with him. He oversees our Business Development group, implementing solutions in new industries and helping to maintain our relationships with our customers. Bob joined Hytrol in 1994, and since then he’s served in numerous positions, including stints in International Operations, Distributor Development, Stockyard Operations, and Business Operations. As VP of Corporate Development, Bob oversees the Human Resources, Employee Development, Safety, Purchasing, Customer Care, Marketing, Contract Review, and Customer Education Departments. Bob enjoys motorcycling, hunting, scuba diving, and golfing in his spare time. A Minnesota native, Delos came to Hytrol in 2012 after serving as Vice President of IT for Cannon Equipment. At Hytrol, Delos is responsible for all information technology and computer systems that support our company goals and make our lives easier. Delos has degrees in both Accounting and Computer Science and got his MBA with a concentration in Manufacturing. Outside of work, you can find Delos doing his part in the community by serving on several Jonesboro Chamber of Commerce Committees, or at home woodworking and landscaping. As VP of Operations, Chris oversees Hytrol’s production areas. He has more than 25 years of experience, during which he’s helped right-size workforces and improve delivery times. Chris is very involved in the industry, having participated in STEM and technical advisory boards in the area; he received the 2016 YPN Mentor Award from MHI for his positive effects on the industry and his community. Chris spends his leisure time with his wife, Amy, and their two children. Mitch joined Hytrol in 2016, but he was an integrator for 23 years, serving in capacities of Inside Sales Engineer, Design Engineer, Product Manager, Branch Manager, Regional Manager, and Vice President for Bastian Solutions, also serving on the Board of Directors for the company. At Hytrol, he is responsible for research and development efforts, product management, and systems engineering. 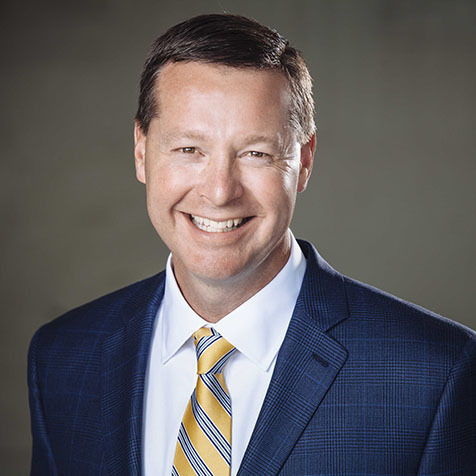 Mitch has been involved in the Council for Supply Chain Management Professionals, was a founding member of the LigistX Games, a Chamber of Commerce member in Louisville, KY., and a member of the Advanced Logistics Group in Louisville. Outside of Hytrol, it’s not unusual to find Mitch in the middle of a home project—he tackles everything from plumbing to electrical work in his home. He follows the Ole Miss Rebels, where his daughter is a student, and follows his youngest daughter around the state of Arkansas as she cheers for her high school team. Tom Loberg founded Hytrol in 1947, setting the foundation for Hytrol to become who we are today. Born in 1917, Tom grew up watching the manufacturing industry and developed his skillset as a draftsman and engineer. He designed his first conveyor, now called Old Number One, and the rest is history. But Tom was more than a businessman—he was an entrepreneur, a husband to his wife Rigmor, a father to five children, a friend to those around him, and a pillar in his community. With his dedication to empathy, humility, gratitude, and faith, Tom made a difference in the lives of everyone around him. We continually work to keep this legacy alive.